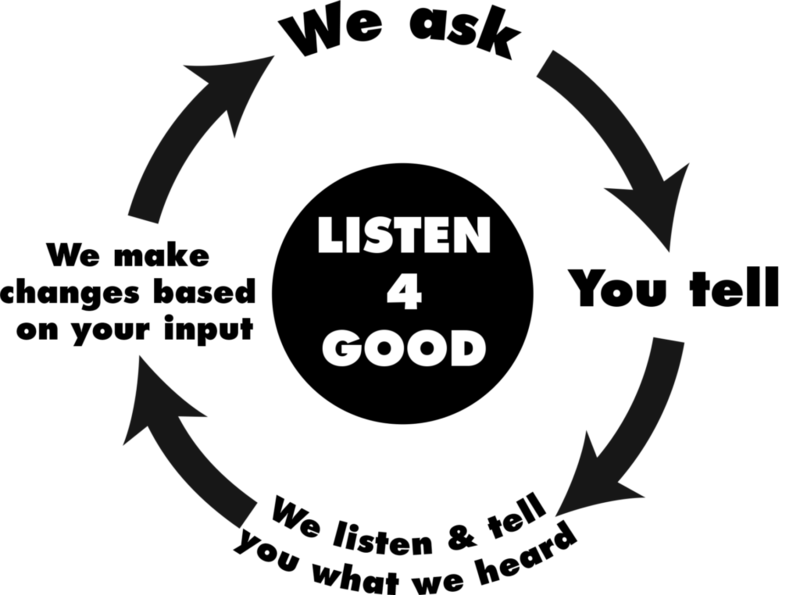 The Art Effect is proud to announce receipt of a $45,000 Listen For Good grant from the Fund for Shared Insight. The Art Effect will use these funds to help gather vital information from the people we serve to better design our programs for maximum impact.The Community Foundations of the Hudson Valley served as nominating partner, directing $15,000 from the Leslie C. and Irene G. Roe Fund to support the program. With funding and technical assistance from the Fund for Shared Insight, The Art Effect will embark on a two-year listening process to gain valuable feedback from program participants across the Hudson Valley to establish a complete feedback loop that honors constituents’ voices as part of our evaluation and decision-making process. We need your input! If you are a past program participant (or parent of a program participant) in our Dutchess Arts Camp, Art Institute, DROP TV/Media Magic, and/or Project A.B.L.E./Habilidad Programs, please take this brief survey. Five minutes is all it takes to help build The Art Effect of your dreams! We look forward to sharing the insights we gather in the next two years. Stay tuned!